Update: Ten Ten is now closed. I now work in Harbor East, which has given me plenty of chances to cross things off of my Baltimore Restaurant List. On weekdays before 6pm, Ten Ten offers 1,000 point tables on OpenTable which made grabbing dinner there after work a quick, no-hassle option. 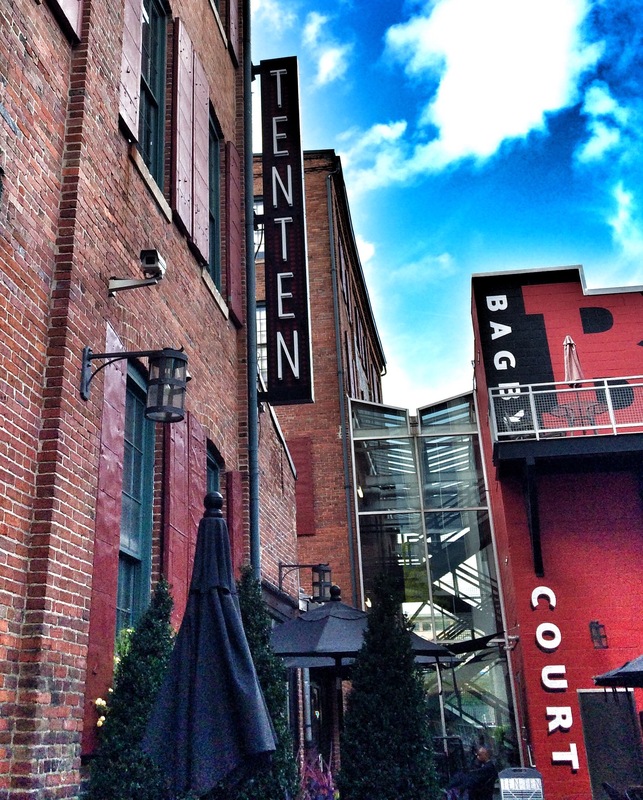 Ten Ten happens to be one of the wonderful restaurants that are part of the Bagby Restaurant Group. The others are Cunningham’s, and Cunningham’s Cafe & Bakery in Towson, then Fleet Street Kitchen and Bagby Pizza Co. in Harbor East. I had already visited two of the more causal restaurants that are part of the Bagby Restaurant Group so I had high hopes for Ten Ten. Upon looking over the menu, the Fried Brussels Sprouts immediately sparked my interest. 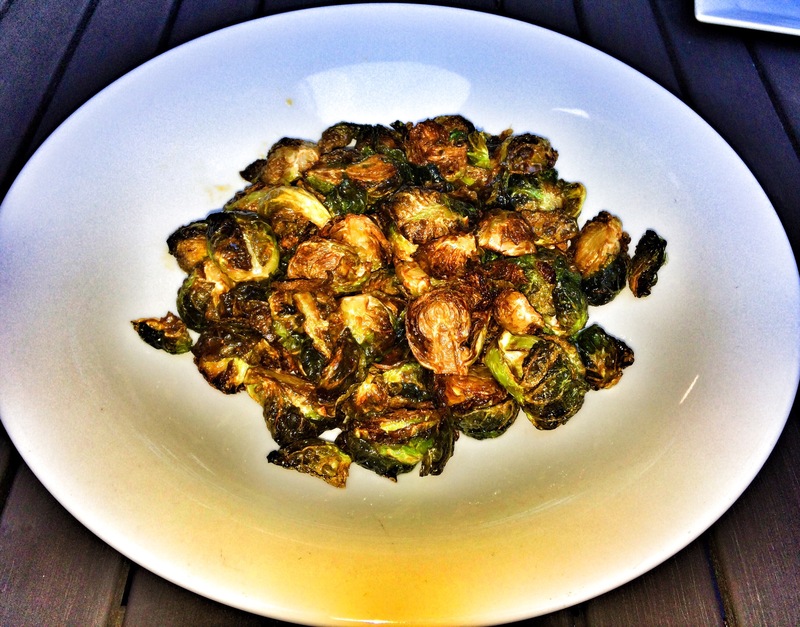 A few months ago at The Nickel Taphouse I tried fried Brussels sprouts which I loved so I decided to give these a go. They were flash fried and tossed in a seafood-chili vinaigrette and they were phenomenal. The sauce was sticky-sweet and went well over the Brussels sprouts which weren’t overly fried and greasy. I single-handedly may have devoured this large portion. My friend I was with decided to order the special for that evening which was the Surf & Turf for $29. That also came with the addition of a salad. 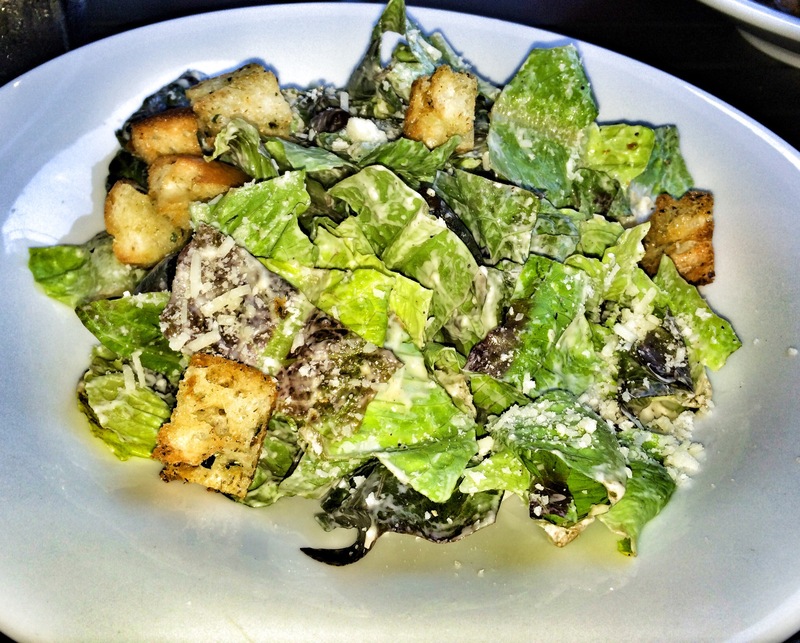 She opted for the Caesar Salad which was tossed in a nice creamy dressing. For her Surf & Turf she had a piece of steak with the crab option on top. She loved the steak, it was seasoned and cooked well. However the crab on top had a cheesy component that my friend did not like nearly as much so she pushed the crab off to the side. In retrospect, she was expecting a crab cake so she should have further inquired with our waiter about the dish. But the mashed potatoes and vegetables that came with her dish she enjoyed as well. For my dish, I decided to go with the Farm Chicken. 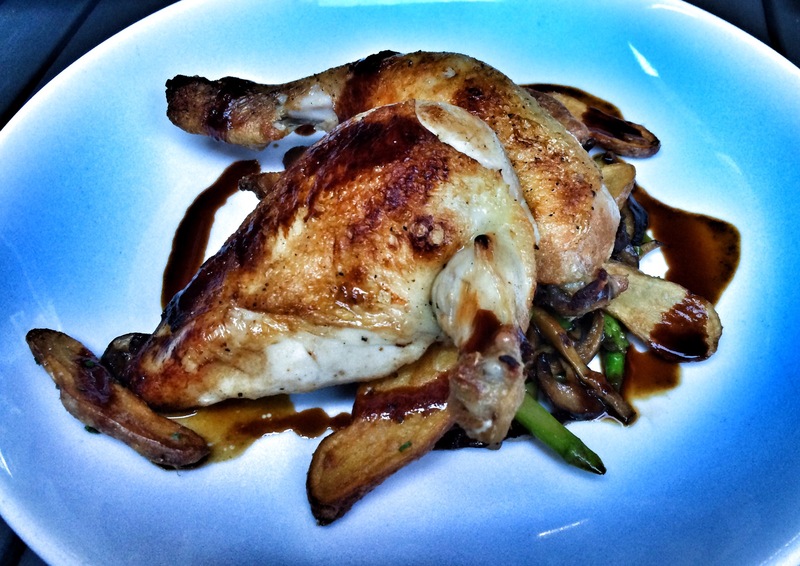 It came with duck fat roasted fingerling potatoes, asparagus, chicken and mushroom demi-glace. This was delicious, the chicken was moist, seasoned well and a huge portion (or it’s from all of the Brussels Sprouts I ate, I can’t be too sure.) Regardless, this chicken was delicious and packed with flavor. 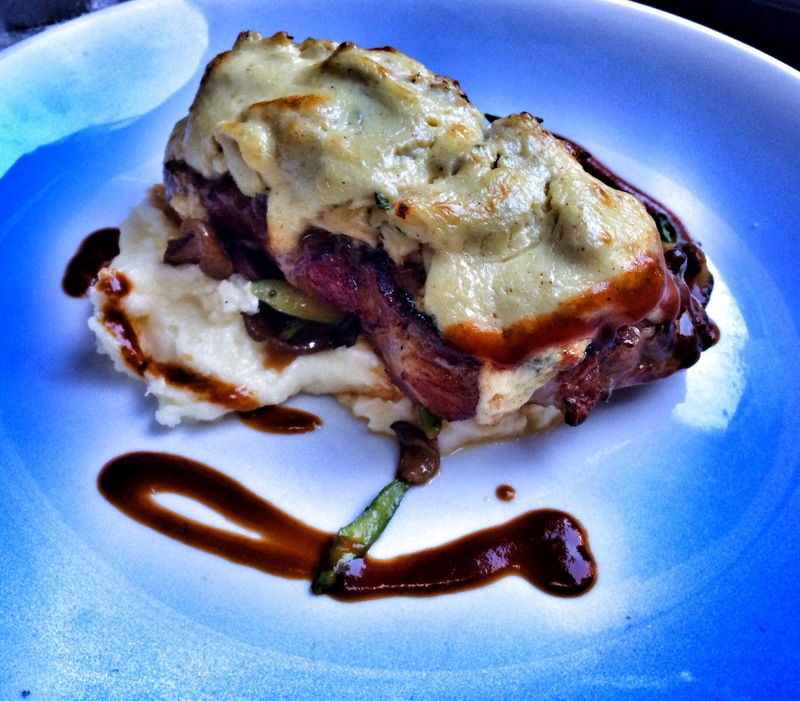 If you’re looking for an upscale meal packed with delicious flavors, I wouldn’t hesitate to try Ten Ten. Also, Ten Ten is one of the many restaurants that I have a city dining card for. For more drool worthy pictures, follow me on Facebook or Instagram. Be sure to subscribe to my blog for the latest and greatest. Looking for a place to eat? Check out Rachel’s Baltimore Restaurant List.